Let’s Gunston Go Back in Time! LET’S GUNSTON GO BACK IN TIME! Most students today are not aware of the days before the Patriot mascot. 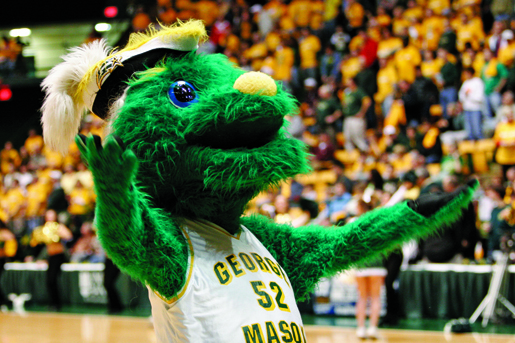 Before he was introduced in the 2008-2009 season, Mason had a furry green mascot named Gunston. 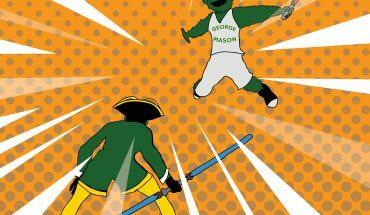 Some say that he was a bad mascot for Mason, but I completely disagree. There were a number of reasons cited as to why Gunston was phased out. However, in 2006 during Mason’s Cinderella Final Four run, Gunston made it to the national stage. Shortly after, a blue-ribbon panel was created to find a new mascot. Some of the reasons for Gunston’s replacement were stated by some administrators, alumni, students and even athletics officials. People stated that he was not a great representation of the university and the students, having no real connection to the school at all except for the fact his name was the name of George Mason’s plantation. People just did not seem to appreciate his appearance, with some saying that he looked like a muppet and overall embarrassed the university. Students also had mixed reviews when it came to Gunston. In a Washington Post article from June 2, 2006, Steinberg wrote that a study was conducted that found that 40 percent of students were not aware that he even existed, and of the students that did recognize him, they wished that he would be replaced. However, Steinberg does not cite how many students were questioned. I believe that Gunston would have been appreciated more at Mason if social media was as apparent as it is today. If you were to go on to Twitter, Instagram, Facebook or any other medium and look for any advertisements from athletics or student organizations, especially around this time of the year, you’d find multiple pictures of the Patriot. If Gunston were to be marketed as much as the Patriot is during basketball season, I believe that we would have been recognized more and overall appreciated by the community. Similarly, if you’re a hockey fan like myself, you would have known about the Philadelphia Flyers’ new mascot that was introduced for this year, known as Gritty. Through social media and the internet in this day in age, Gritty has already taken his place as the most popular mascot in the NHL. He is the perfect example as to how a furry blob for a mascot can be marketed to the point where everyone loves him. Gritty is the reason that I think that any mascot–other than the terrifying New Orleans Baby Cakes minor league baseball team mascot–can be marketed into a great mascot. 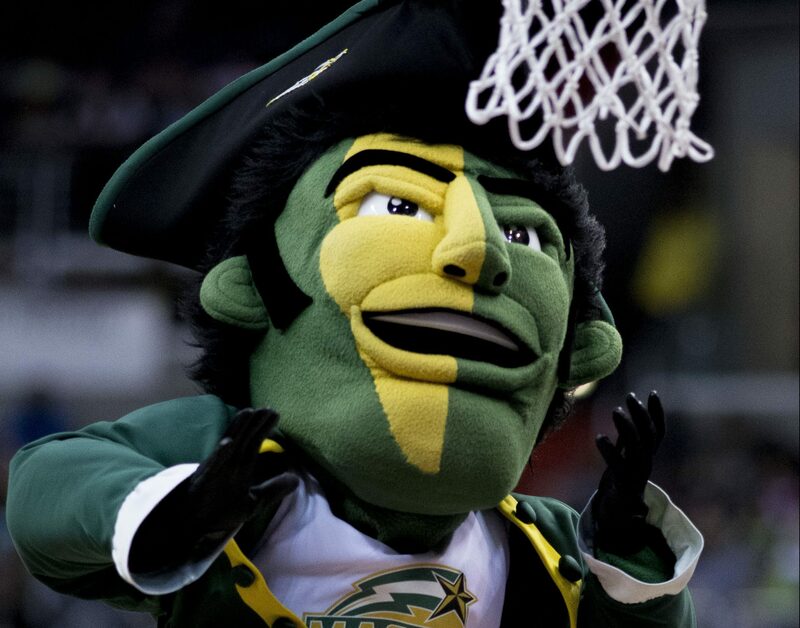 All this being said, I think that the Athletic Department should at least consider bringing back the green furry blob known as Gunston, as it is time for a makeover with the 10 year anniversary of the Patriot.